The classic Cuban cocktail gets a completely new look with this tempting Mojito shaved ice and snow cone syrup. 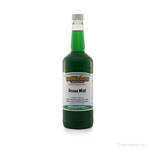 It has the familiar flavors of the delicious drink - lime juice, sparkling water, white rum, and mint, but without the alcohol. So, it�s safe for all ages. 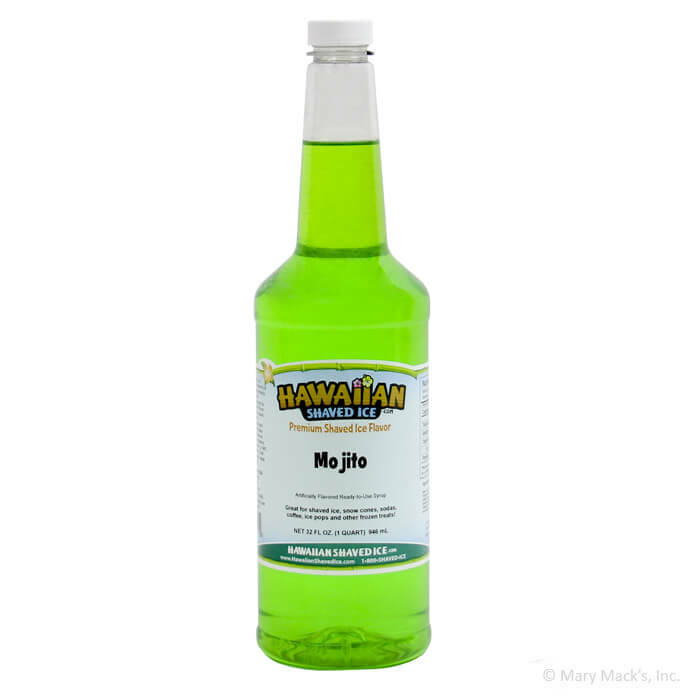 The refreshing combination of sweetness and citrus makes mojitos a popular beverage choice and that�s not any different for this snow cone syrup flavor. This has everything you love about a mojito with a pleasant twist. Pour a small sample of this flavored syrup over your freshly made batch of homemade snow cones and take your next cocktail party to a whole new level! 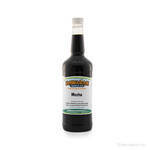 If you�re feeling creative, you can even mix this with some of our other exciting Hawaiian Shaved Ice flavored syrups. Our truly authentic mojito flavored shaved ice and snow cone syrup is easily available in quart and gallon size containers to meet your particular needs.